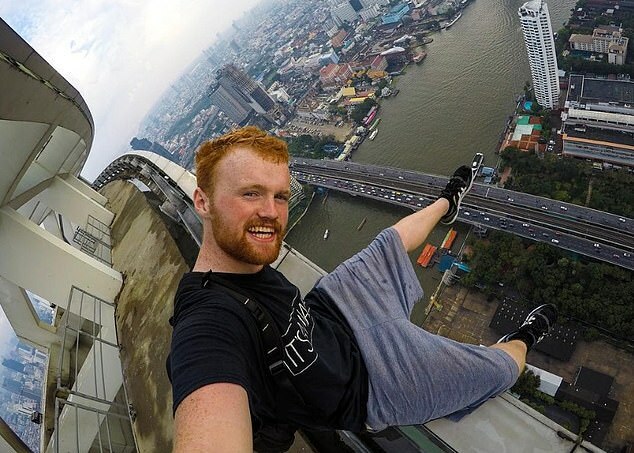 Ally Law has 2.4 million followers on the his channel where he performs stunts, does parkour or ‘free running’ and pranks- such as breaking into the Celebrity Big Brother house last year. The 21-year-old was arrested at Gatwick Airport by a group of officers at the departure gate as he was preparing to board a flight to Helsinki, Finland on Wednesday last week. He claims he was charged with stealing a ‘hot beverage’ while trespassing at a ski centre in Milton Keynes in November 2017. 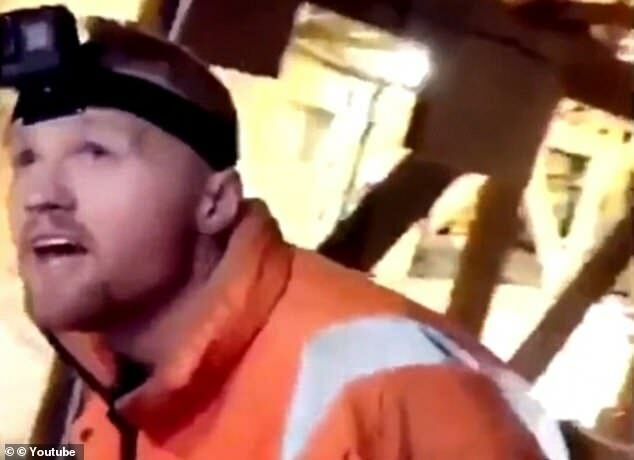 The YouTuber, from Southampton – who previously broke into Barcelona’s La Sagrada Familia – appeared in court last Thursday and alleges police tried to get conditions attached to his bail because they thought he might try and leave the country. He was released on unconditional bail and and will appear in court later this month. The ‘urban explorer’ told The Times: ‘God knows how many police resources were used to investigate this, all for a cup of tea … at a value of about 15p. ‘It actually annoys me that the police can’t deal with car thefts, bike thefts, vicious attacks all across the country because of government cuts yet they are spending so much time and money on this. Fellow prankster Ryan Taylor, from Walsall, was also arrested for the same incident on February 4. A spokesman for Thames Valley Police confirmed Mr Law was arrested on suspicion of criminal damage and non-dwelling burglary in connection with an offence at a ski centre in Milton Keynes overnight between November 6 and November 7 2017. He was later charged with non-dwelling burglary. Mr Law is due to appear at Milton Keynes Magistrates Court on February 26. Mr Law is a popular prankster and takes part in a variety of stunts on his YouTube channel. In a separate issue in December 2018 he was handed a criminal behaviour order banning him from theme parks and TV studios across Britain. It bans him from entering any film or TV studio, areas of a bridge or building not open to the public, any commercial property outside business hours, and any property owned by Merlin Entertainments. He is also prohibited from inciting others to do so and from posting on social media or sharing footage or photographs of any production in any studio in the three countries. Law’s YouTube channel features videos entitled Sneaking Into West Ham Stadium and Sneaking Into Butlins Holiday Resort. He criticised Law for ‘behaving so recklessly’ and said he hoped the order, which had taken a year to put in place, would stop him ‘wasting valuable police resources in the future’. 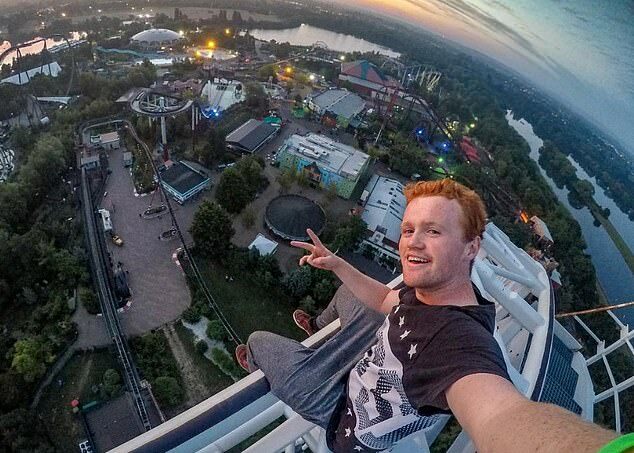 He has previously broken into the Big Brother House, Thorpe Park and Barcelona’s Sagrada Familia for his online escapades. The 21-year-old also claimed he was the mystery drone pilot that brought Gatwick Airport to a standstill at Christmas- but the images turned out to be six months old. A full CBO hearing is due to be held at St Albans Magistrates’ Court on March 5 next year.